Over the past few weeks, I have had the chance to meditate a great deal on conversion, falling in love with Christ, and accepting His Church here on earth (which generally translates to forgiving its fallen members). It all began with a handful of disgruntled glares at a parish that I was visiting a few weeks back while on vacation, but it has become a focus of my blog posts, my personal prayer, and my spiritual reading. For the past few months, I have been slowly working through a book that came with a lot of praise. It had been highly recommended to me as an employee of the Church working in a parish. The book was called “Rebuilt: Awakening the Faithful, Reaching the Lost, and Making Church Matter,” and it dealt with the problems that parishes across the nation have been facing over the past few decades: dwindling numbers in the pews, a loss of interest in the faith, and demanding consumer Catholics who just want to have it “their way.” Co-authored by a pastor and a lay minister in the same parish, the book details the steps that these two men took to reawaken their church. They admitted their problems, which is something many parishes have done, and then they went on to propose solutions, which is something that most parishes have not done. They tried different approaches, tested different suggestions, learned from their failures, and eventually were able to celebrate their great success. Over the course of several years, their parish flourished. Their numbers rose, the lost returned, and the consumer Catholics who had once occupied their pews were transformed into Christ-like Christians who came to church not only to be filled, but to give of themselves as well. The transformation was incredible, and eventually the authors, Rev. Michael J. White and Thomas W. Corcoran, decided to share their experience. You can purchase the book here, and you can take a look at their website here. The book was certainly thought-provoking, and incredibly easy to apply to my life and work at Mt. Carmel. Ours is a parish very similar to Nativity, which provided the basis for the book. Mt. Carmel is made up of families that are larger suburban, upper-middle and upper class. It is driven by consumers who come to Mass to “get the Eucharist,” and who show up in our office expecting to “get the sacraments and an education” for their children. Church is all about what we get. If we don’t get what we want, we complain to the pastor, and when we still don’t get what we want, we complain to the bishop instead. And, of course, when the bishop ignores our complaints (and mostly for good reason), we complain to just about anyone who will listen (which isn’t many, and most are looking to complain to you too). We are a parish of consumers, just like Nativity was. We are also a parish that is dying, in a way. It is not as bad as some parishes; we certainly have more parishioners than most. But our numbers are dwindling just the same. We celebrate more funerals than weddings, just as most parishes do. Our two largest age groups are the very young and the very old, and there are more elderly in church on Sundays than little children coming from CCD. Our parish is very much like Nativity, even if other parishes envy us. We are alive in a way that many parishes have already died, but that doesn’t mean that we are not dying. It’s just a much slower process at Mt. Carmel. Of course we will all find ourselves in the same place at the end- in the grave- unless we shape up and find some life. 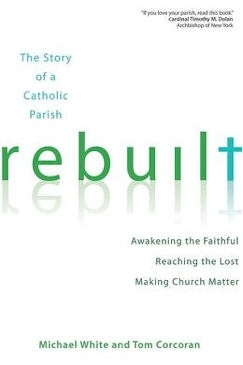 I first found myself drawn to read “Rebuilt” because I, like many other staff members, was concerned for the future of our parish. Even if we still had life here at Mt. Carmel, our numbers still suggested that our parish was suffering. And there was no denying that I was employed at a parish controlled by consumers. The Religious Education office saw it quite clearly in many of our dealings with parents looking to get their children into CCD classes. Because of the size of the parish, and the demands of our parishioners, we offer four different models of religious education. And yet, somehow, that is still not enough. They still cry out for more. Or less, if we’re going to be honest. Less hours. Less expectations. Less requirements. Less, less, less. They take the whole “less is more” idea to a whole new level. It was obvious that a change was necessary. To be honest, I still don’t know what that change is, and at this point, it’s not my place to worry about it. In just a day, Mt. Carmel will cease to be my work parish, and soon I will adopt a new parish as my own: a new parish with its own difficulties and struggles, but also with its own joys and beauty. Every parish has its signs of life and beauty, and every parish has its signs of death and decay. Mt. Carmel was not exempt. Neither will my new parish be. There were many points suggested in “Rebuilt” that can probably be applied to any parish looking to reawaken its parishioners, regardless of their particular circumstances. Two of the improvements that Fr. Mike and Tom focused on were the homily and the music. As I read through these chapters, I considered what was being said in a very abstract way. Sure, I considered how this could be applied in my work parish and in my home parish, but it was all very theoretical. Could this work? Would the staff be willing to change music choices? Would the priests be willing to make the homilies more cohesive? I considered the questions, and brainstormed some answers, but I was still not wholly convinced that these two areas were as essential as Fr. Mike and Tom claimed. At first I was very skeptical. The homilies and music couldn’t be that important, could they? Could they really chase away potential believers? And if that was enough to chase them away, how strong could their faith be? Shouldn’t they be able to handle some bad homilies and music? And isn’t Mass so much more than the homily and the music? Aren’t these people coming for Jesus? 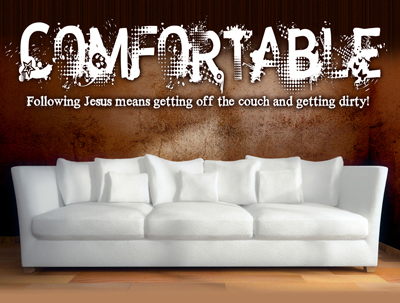 Over the years, I have become somewhat comfortable in my faith. I know what’s expected of me; I know how to dress, how to act, how to talk. I know when to sit and when to stand, when to speak and when to be silent. I know where to sit, and where to avoid going. And because I know all of these things, I feel accepted and comfortable when I go to Mass. It’s become a regular part of my life, and I know that the Eucharist is essential to my life. I don’t function well when I can’t receive the sacraments. When work is getting especially stressful, I count down the hours until I can take a break and go to Mass. When that stress overwhelms me and I start snapping at people despite my Mass breaks, I know it’s time to go to confession. They are both sources of strength for me, and I can’t fathom living without them. 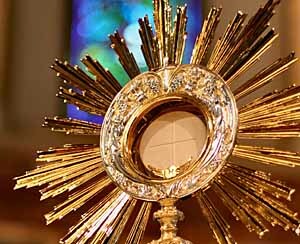 Jesus Christ in the Eucharist is the source of my life and vitality, and I can’t imagine anything that would pull me away from Him, not even bad homilies and music. Trust me, I’ve endured a great deal of both of these things over the years, and somehow, I’m still here. Recently, I was reminded of something very important however. In a very real sense, it was not the Eucharist that drew me to the Church. I barely knew what the Eucharist was when I first showed up in the back of a church, looking for answers. I did not sit through my first Mass because I was in love with Jesus Christ in the Blessed Sacrament. I sat through it because Christ was speaking to me, and He used the homily and the music to reach me. Yes, Mass is more than a homily and music, but it is certainly not less than that. If the Eucharist is a unity of the entire Mass and all its parts, that includes the homily and music. No, the homily and music should not determine whether or not we attend Mass, but there are times when it does. Converts and re-verts stay because of the Eucharist, but many of us came because of the homily or the music- because the priest’s words, or the song lyrics, spoke to us, because Christ spoke to us through those words and lyrics. In the Eucharist, God and man become one. They are united, and we are transformed from the inside out. It is a physical encounter, as well as a spiritual one. God knew that we would never be satisfied by a strictly spiritual connection with Him. We are physical creatures, and we desired a physical union. That is why God became man, and why this God-man became bread and wine for us. The Eucharist was given to us precisely because we are physical creatures. We experience God through our senses. We hear His Word. We eat His Body and drink His Blood. The latter we do through the Eucharist, but the former is done through the proclamation of the Word of God during the Mass, as well as through the homily and music. For every person who is brought back into the Church because of a Gospel passage proclaimed at Mass, there is at least one person who was drawn back because of something that was said during the homily or sung during one of the hymns. The homily and music should not be what keeps us in the Church, but it very well might be what brings us to her in the first place. This became incredibly apparent a few weeks ago. One of my best friends, who had been hurt by the members of the Church and had struggled with her relationship with it, decided that she wanted to go to Mass again. She explained to me that she had felt something missing, and she could not find anything to fill the gap. She suspected it was because that hole in her heart could only be filled by the Eucharist, and though she was still hurting, she was beginning to realize that she would not find true and full healing except for within the Church. She knew that she needed Jesus Christ. She needed the Eucharist. We agreed to attend the 6:30PM Mass at Mt. Carmel. I had always found it to be a very warm Mass, and it featured a youth band that played a lot of Christian contemporary music. They were incredibly talented, and I knew that they spent a great deal of time in prayer as they made their music selections for the Mass. It was a style of music that we were both familiar with, and I knew that the music would make her feel more comfortable and would help to lower her defenses. I also knew that this particular style of Christian music tended to speak to hearts in a way that other hymns did not, especially in the case of fallen away Catholics who struggled with their relationship with Jesus Christ and His Church. 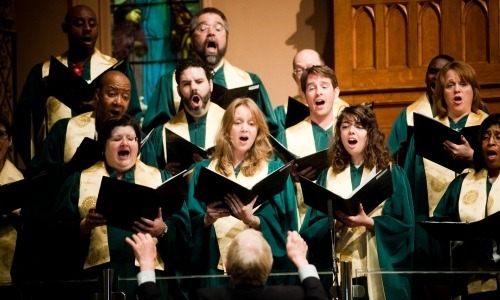 As much as I loved the more traditional hymns, I knew that my friend would feel more at home with a more contemporary musical setting, and that was more important than my own musical preferences. I also chose Mt. Carmel because I knew the priests, and I knew the style of their homilies. I spent an entire week praying that both the homily and the music would be inspired, and that Christ would reach my friend in whatever way He could. I knew that ultimately she was there for the Eucharist, but for the first time in a long time, I realized how important every element of the Mass was. Even though the entire Mass is in a sense the Eucharist, there is also something incredibly pivotal about the moment of consecration and the reception of the Body and Blood of Christ that follows. I knew that this was why my friend was there, why any of us where there. We had come to be united with Christ in the Eucharist. We had come to be fed. We had come to witness God becoming one with man. 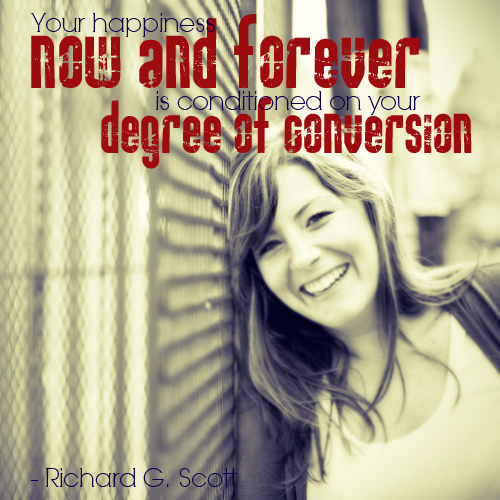 But the moment of consecration does not happen immediately. It is preceded by about half an hour of singing and listening, for the most part. Before we receive the Eucharist, we are all invited to sing the hymns, listen to the Word of God, and listen to the homily. In order for these fallen away Catholics, these men and women who have been hurt and who are in need of healing, to discover Jesus Christ in the Eucharist, they must first be drawn in by the music, the Word of God being proclaimed, and the homily. These elements must capture the worshippers’ hearts if there is any chance that Christ will be able to meet them in the Eucharist. And in a very real way, He depends on us to make that happen. We are the voice of Christ in these moments. Christ has called us all to serve even here. The Eucharist is not merely about Christ giving Himself to us, feeding us, and giving us strength. It is also about us giving ourselves to God, feeding the Church and the world, and giving its members strength. Christ serves us so that we might serve the world. He feeds us so that we might feed the world, and that doesn’t always start on the streets. It can start in our pews too. That first Mass with my friend really made that a reality for me. Suddenly everything mattered- the music, the manner of proclaiming the Scriptures, the warmth of the parishioners, and the homily. All of these elements came together to draw my friend back into the arms of the Church, and back into the arms of Christ. Yes, she came to meet Jesus Christ, but before she found Him in the Eucharist, she found Him in the smiles of the parishioners, in the warmth and liveliness of the music, and in the message of the homily. She smiled throughout the entire Mass- when she recognized a hymn, when the priest’s words during the homily spoke right to her heart, when our fellow parishioners greeted her during the Sign of Peace, but I know her smile will be wider than ever when she can be united with our Lord again as she receives the Eucharist. It was clear that she was once again feeling the love of Christ, and it filled her from every direction. Christ embraced her from all sides, from all angles. He reached out to her through the music, the Scripture, and the homily, but He did not stop there. He serenaded her in all these ways in order to win her heart, so that one day He would be able to unite Himself with her in the Eucharist. The Eucharist is the culmination of that love, the summit of it, but we all must fall in love with Christ first. 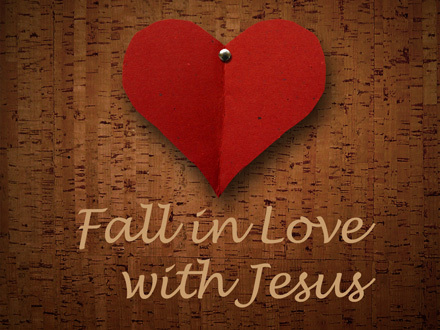 And let me just tell you, there is nothing more beautiful than watching a someone fall in love with Christ, whether it is for the first time or anew.